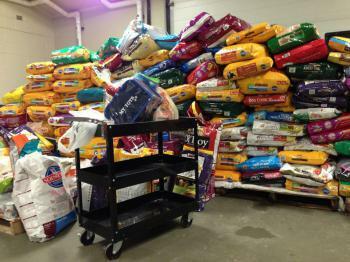 Vista Radio and the staff at Free FM are thanking listeners for helping the Grande Prairie SPCA in an acute time of need. On Tuesday, November 20, Free FM News broke the story that the local SPCA had run out of food for the animals it houses. After three days of collecting donations, the shelter now has enough food to last the next three months, plus nearly $2000 in cash that can be used to treat animals in need of surgical care. “The amazing generosity of our listeners in GP is helping ensure our furry friends don’t go hungry this winter,” said Coutts.